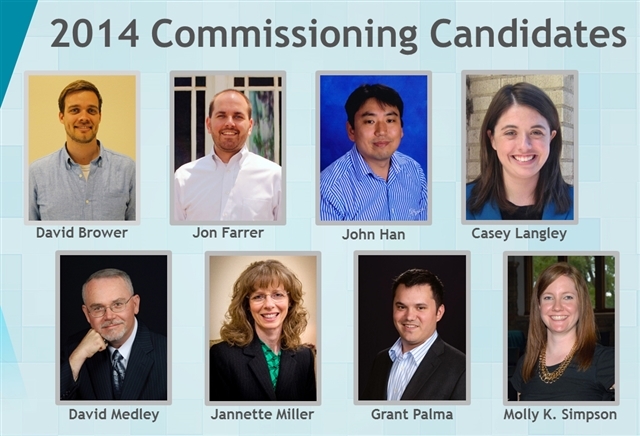 The Central Texas Conference Board of Ministry has recommended a class of 13 Commissioning and Ordination candidates to the 2014 Annual Conference. The 2014 class has nine Commissioning Candidates (1 Provisional Deacon, 6 Provisional Elders and 1 Provisional Elder Received by Recognition of Orders) and five Candidates for Ordination (1 Deacon in Full Connection, 1 transitioning from Deacon to Elder and 3 Elders in Full Connection). To see more on the 2014 Commissioning and Ordination candidates, click on the class photos below. The 2014 Central Texas Conference Commissioning and Ordination service The service begins at 7 p.m., Tuesday June 10 at First United Methodist Church, Mansfield. Everyone across the conference is invited and encouraged to come and join in this powerful time of worship, music, learning and fellowship.